The following is a sponsored post brought to you by Massdrop, a creator of high-quality custom gear, apparel, and products inspired and designed by our online communities. Description: The Massdrop x Fizan Compact Trekking Poles features: two adjustable and collapsable aluminum poles with three accessory baskets/tips to take on all terrain (50mm, 35mm and rubber tips). And, weighing in at 158g (5.6oz) per pole they may be one of the lightest trekking poles on the market. Fizan, an Italian company has been producing quality trekking poles since 1947. 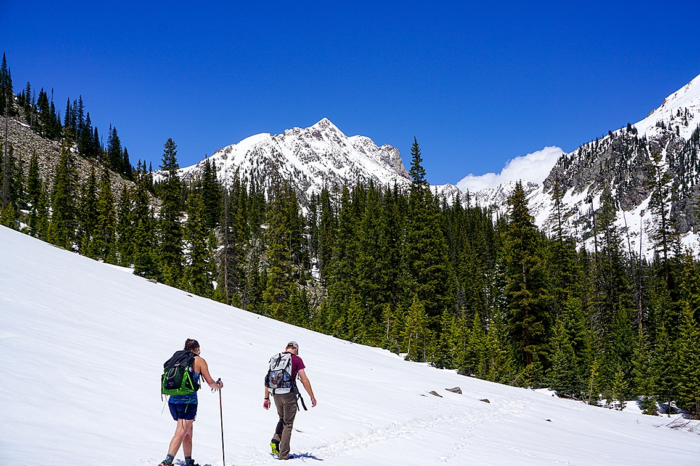 Circumstances of Review: I tested the trekking poles out on Booth Falls Trial and Pitkin Creek Trail in Vail, Colorado. They didn’t show any issues tackling dirt, rock or snow. The Aluminium Alloy build proved to be durable as I walked across snow covered alpine terrain. Lightweight: I still can’t get over how lightweight the Massdrop x Fizan Compact Trekking Poles are. With each pole weighing 5.6 oz, it feels like they’re light as a feather. They were so incredibly lightweight that it really didn’t feel like it was holding anything. But, they provided necessary support for my legs and kept me moving. In comparison to my Leki Corklite Trekking Poles at 9 oz per pole, I felt a significant difference in weight. 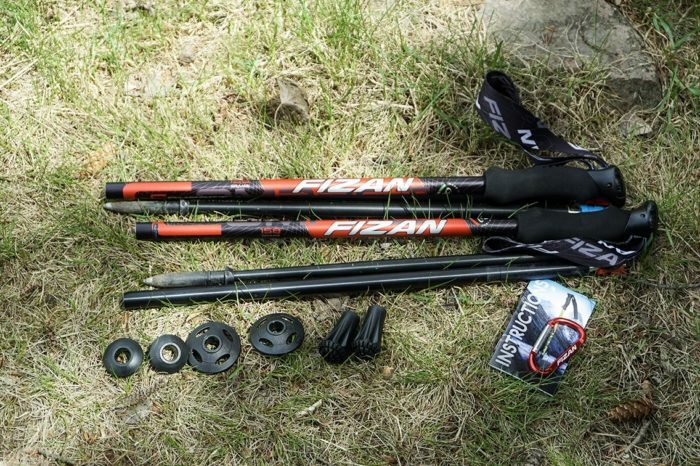 The Massdrop x Fizan Compact Trekking Poles were lighter and even came with accessory baskets for different terrains. Collapsable and Adjustable: I have yet to see a trekking pole that is collapsable and adjustable (58-132 cm) as the Fizan Compact Trekking Poles. 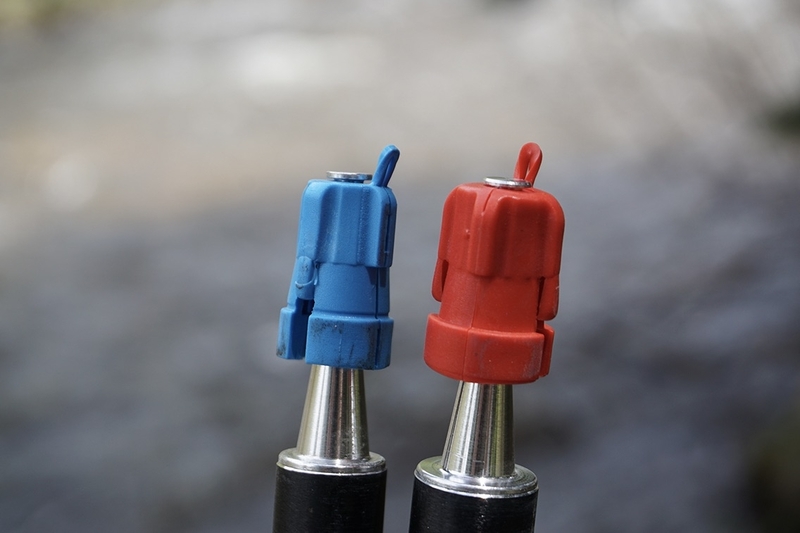 You can take apart the three separate pole components using the Concept Lock Stem System. Assembly is a breeze and instructions are included with the product. Simply adjust to your desired length and using an interlocking system, screw the separate pole components into place until the stop marker featured in the image below. This is all explained in the instruction pamphlet that is included with the Fizan Compact Trekking Poles. Concept Lock System. Color Coded and All. 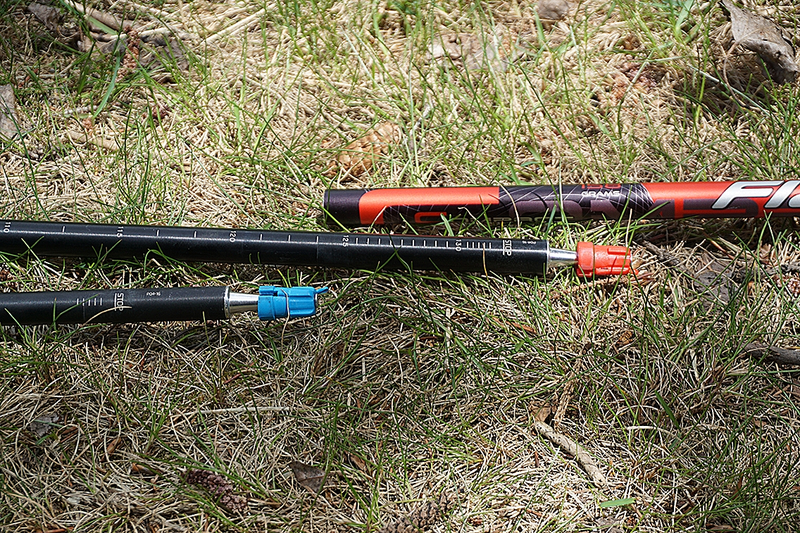 Sturdy: Don’t let the lightweight Fizan Compact Trekking Poles fool you-they are study even at under a pound. While testing out the Fizan Compact Trekking Poles, I ended up at Pitkin Lake, post holing and putting a lot of pressure on my poles. Even through post holing, the Fizan Compact Poles remained solid after assembly. First, I didn’t have to readjust after impacts, the Fizan Compact Trekking Poles stayed securely in place. Shout out to Fizan’s Concept Lock System. Second, I had some moments where I thought for sure bent it, only to be surprised that it was 100% ok. Plus, Fizan has a 1 year limited year warranty. Foam Grip: Normally, I don’t like foam grips on trekking poles. In general, foam absorbs the sweat from your hands and for a thru-hike can end up kind of icky. However, I really liked the foam grip on the Fizan Compact Trekking Poles. Also, the EVA foam was cool to the touch and my hands weren’t clammy. Furthermore, I’d love to try these out on a thru-hike to see how the foam grip holds up long term. In general, I prefer cork grips for thru-hikes but believe this foam grip is worth giving a try. 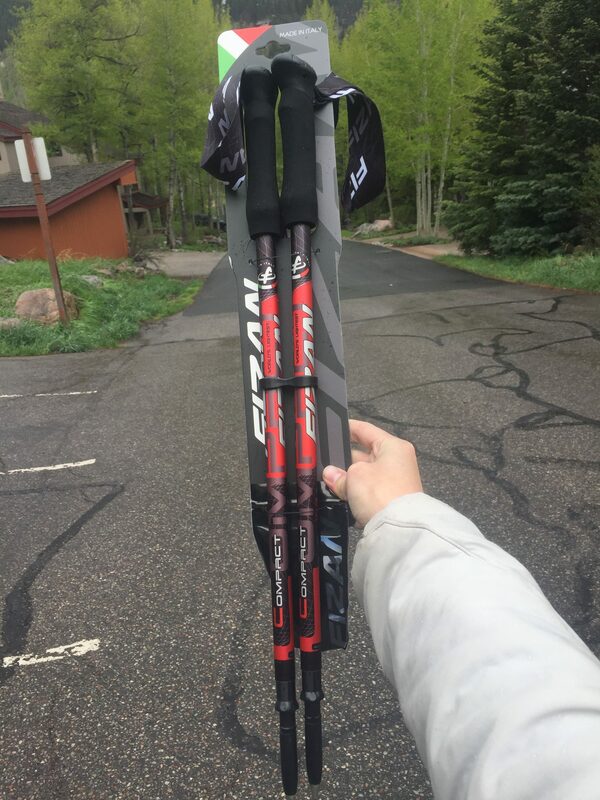 The Massdrop x Fizan Compact Trekking Poles surpassed my expectations. At less than a pound, compact and easy assembly this is an ultralight hiker’s dream. Overall, I recommend trekking poles as they help reduce stress on your legs, feet and knees. The price to value point is spot on- for $60 (not including shipping), these ultralight trekking poles preform on a variety of terrain. Additionally, the Fizan Compact Trekking Poles are small enough to be stashed in a backpack and even comes with a carabiner. Plus, it’s easy to put back together. Most importantly, the poles don’t slip. Overall, the Fizan Compact Trekking Poles are lightweight, durable and compact, making it great for trekking and storing away. At MSRP, the Fizan Compact Trekking Poles are a fantastic value and price point for the quality and lightweight features. These poles are awesome. I used them last year on the AT and now at mile 566 on the PCT. I had to replace one tip after Mt Washington and the other after Katahdin, not bad at all. So, how did the foam handles handle the hiker stank? 1. Carbide tip completely disappeared about 250 Miles in… not worn down, just disappeared. I replaced with a Black diamond I bought on Ebay. Same thing happened to other one 1000 mi later. 2. The black pin that holds the strap secure came out and got lost. I did a field fix with a pipe cleaner. The other pin wound up popping out as well but I found it in the dirt and stuck it back in with a couple turns of duct tape to secure it in place. 3. I snapped the lower section of a pole in half while pushing over some grabby snow banks. Luckily I found a leki section in a hiker box that worked. 4. Hand were always dirty from black foam grips. Would love a cork option.